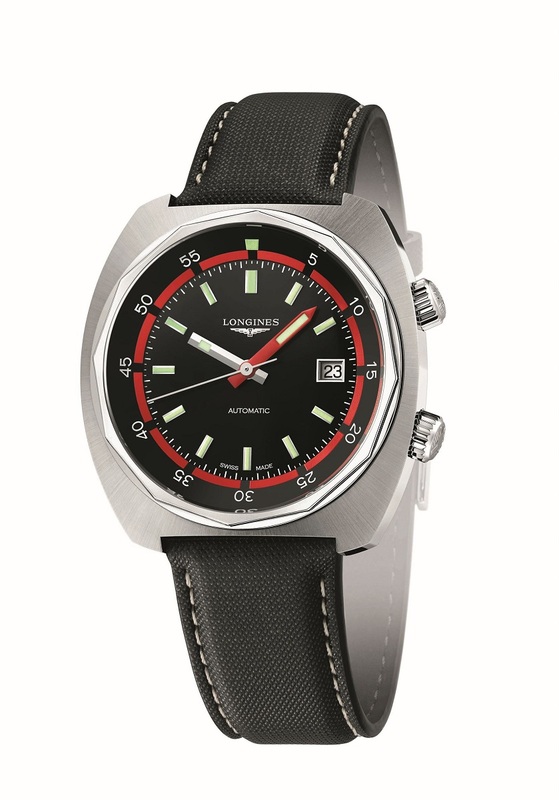 Whereas vintage remakes have only recently caught on for the watch industry as a whole, Longines has been rummaging through its archives for much longer. Its Heritage collection spans timepieces inspired by twenties pilots’ watches to the most recent, the Heritage Diver. 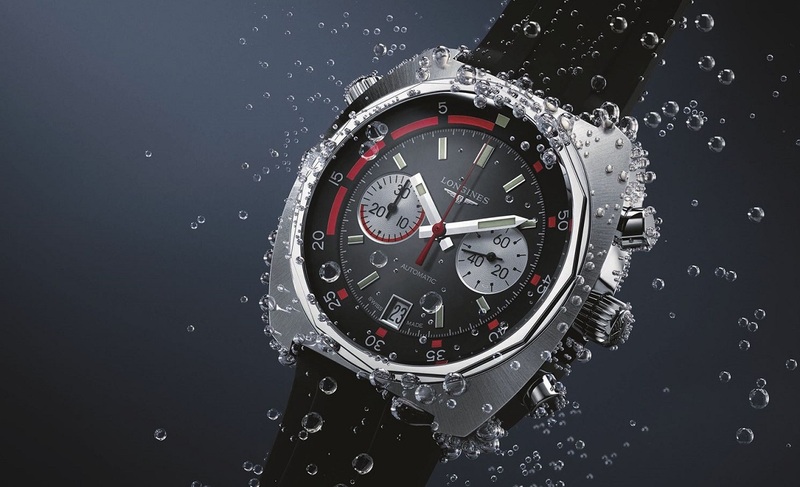 Available as a time-only model or a chronograph, the Heritage Diver is based on the cushion-shaped dive watches Longines made in the seventies. Both new models are very close to the originals in form and design, right down to the same 43 mm case diameter. 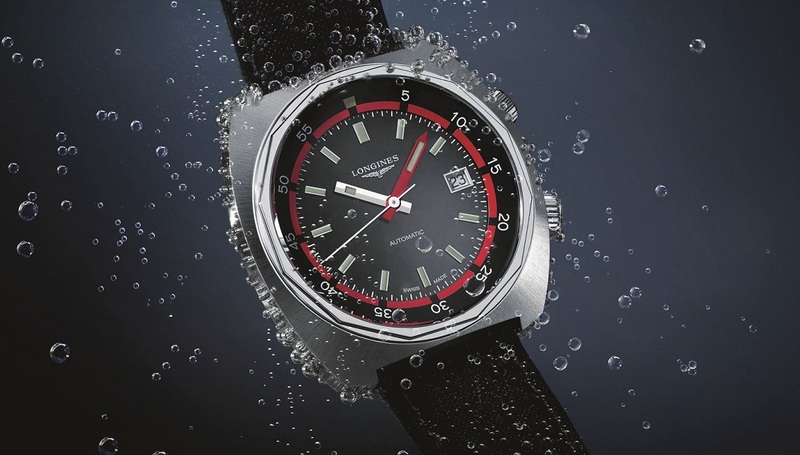 Rated to 300 m, the case of the Heritage Diver has two crowns – one for setting and winding, and the other for the inner rotating bezel – which were a signature feature of the Super-Compressor dive watch cases made by case maker E. Piquerez in the second half of the twentieth century. These cases were used by a great number of brands, including Vulcain for its Cricket Nautical alarm. Though the Super-Compressor cases were also made with single crowns, it is the twin crown models that are synonymous with this type of case. Both models of the Heritage Diver are equipped with sapphire crystals and available with either a nylon or rubber strap. 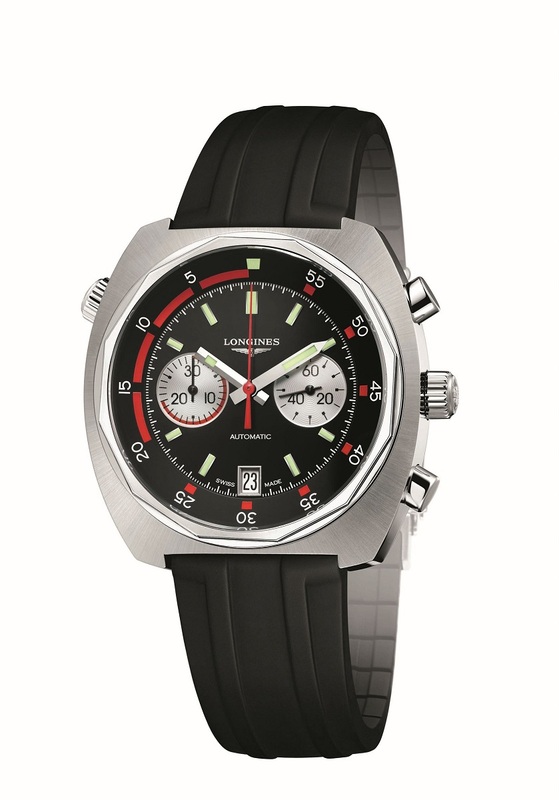 Pricing is 3340 Singapore dollars (~US$2670) for the automatic and 4690 Singapore dollars (~US$3750) for the chronograph.